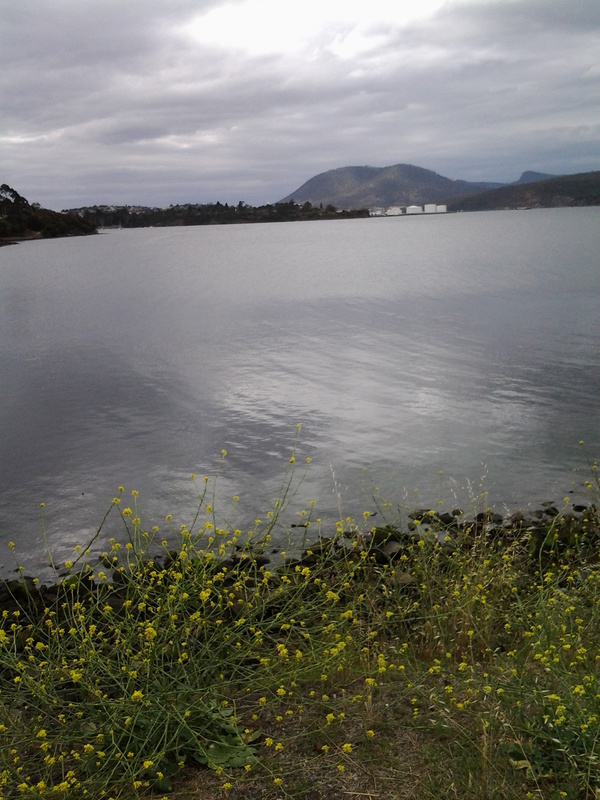 Leaving the delightful Cornelian Bay boatsheds behind, I followed the gravel track almost until I reached the Botanical Gardens at which time I walked up a slight rise and joined the concreted bike and pedestrian track that extends from Hobart to Claremont. 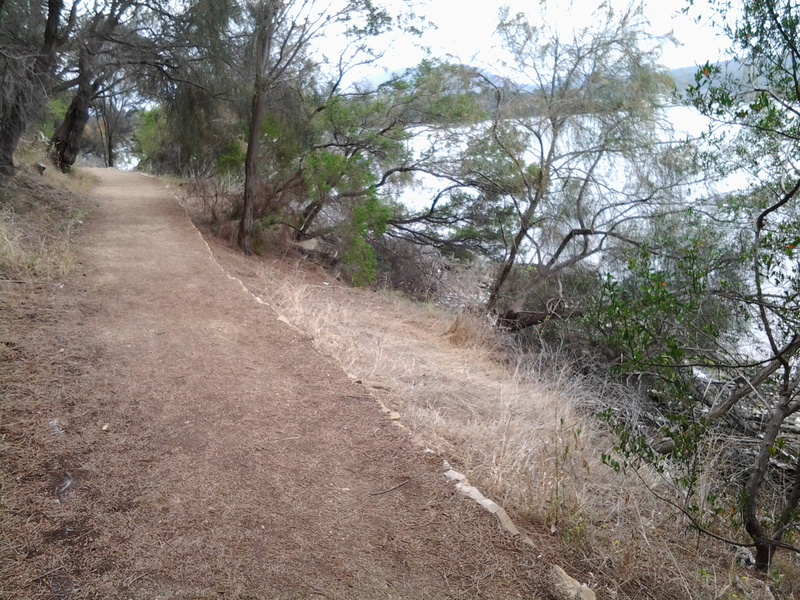 I could have walked from Cornelian Bay entirely on that pathway but it is not located as close to the waters of the Derwent River as the very smooth and wide gravel track. 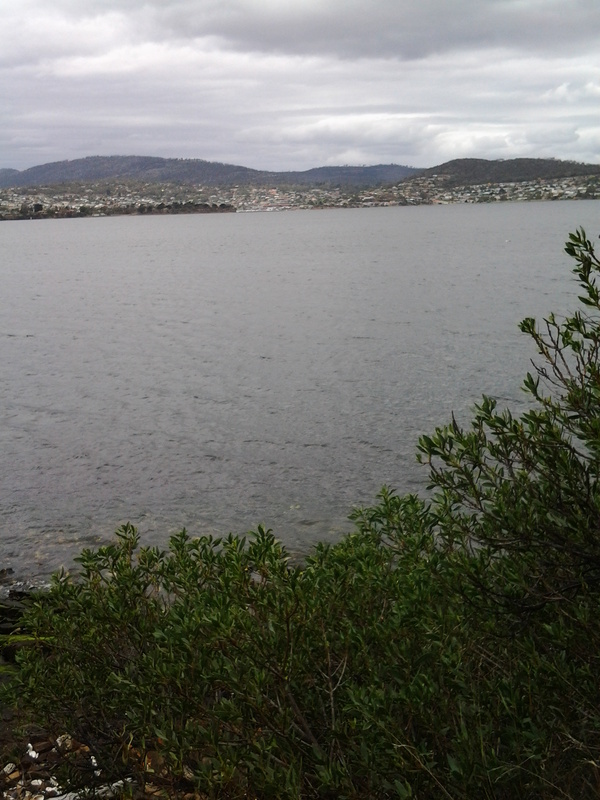 and across the Derwent River to Lindisfarne and Rose Bay which were tramped in an earlier stage of my walk along the Derwent River. The atmosphere on the track was gentle with the breeze softening through the casuarina trees. The sound of road traffic somewhere above me was audible but did not intrude in such a way that the sound of the water lapping onto the shore could not be appreciated. 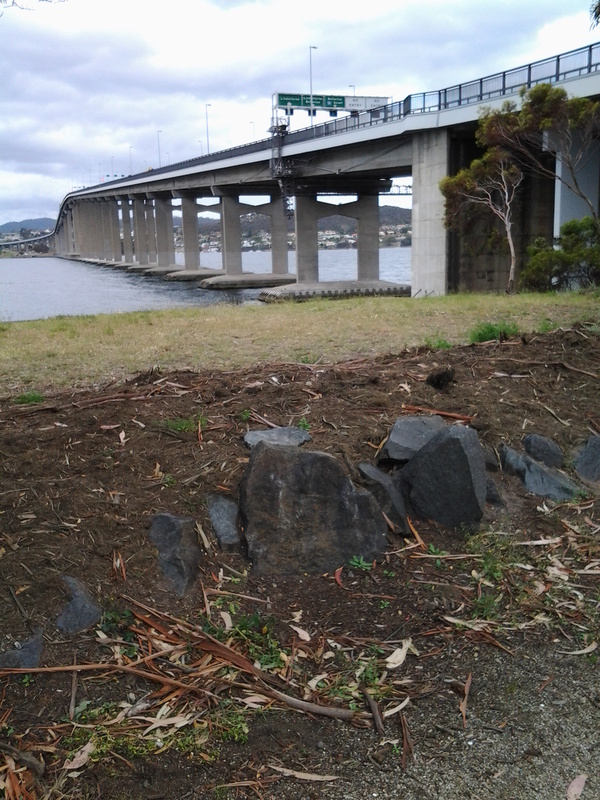 Gradually, the Tasman Bridge seemed to be growing larger the closer that I walked towards it. The photos below show the bottom entrance to the Botanical Gardens. 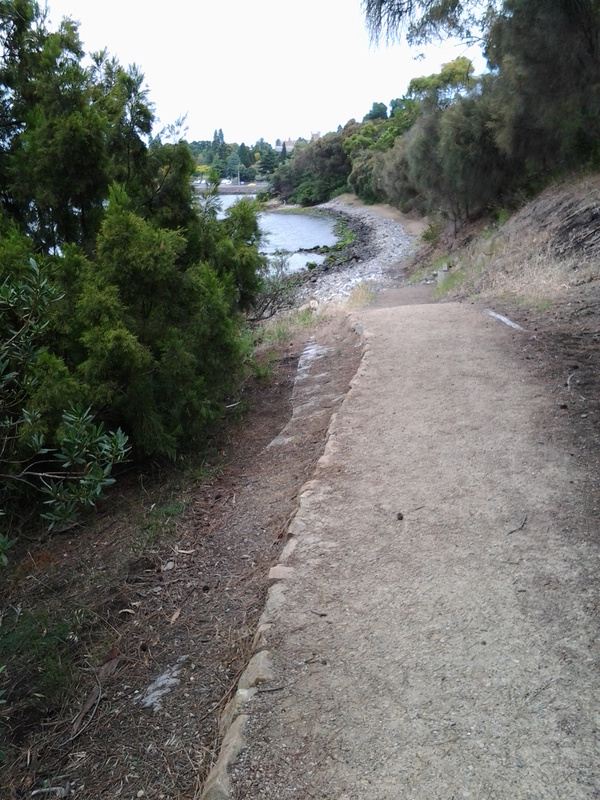 The bike path crossed to the left over the disused railway line opposite the entry to the Botanical Gardens at Pavilion Point. 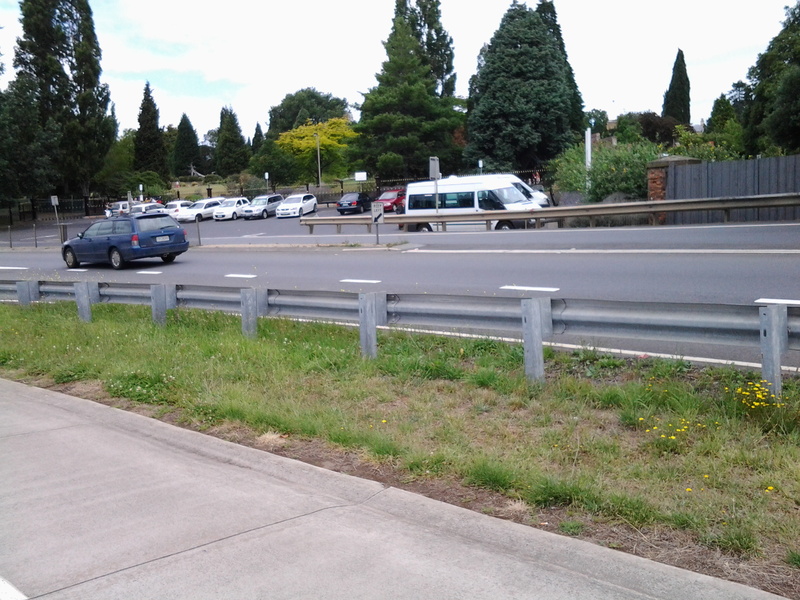 I followed that way at 3.15pm in order not to stay on the main road with mainstream vehicular traffic and no footpath. I could have followed the tracks of fishermen through the grasses and scrubby trees to the foreshore and then walked through a weedy parkland and past the Mercantile Collegiate Rowing Club building. I did not take this route because it looked like the length of it was fenced off and I doubted I would be able to get back onto the road or path near the Bridge. My feet were sore and I was aiming to reach Hobart – I did not want to retrace my steps, and therefore I took the easy way out and stayed on the road. 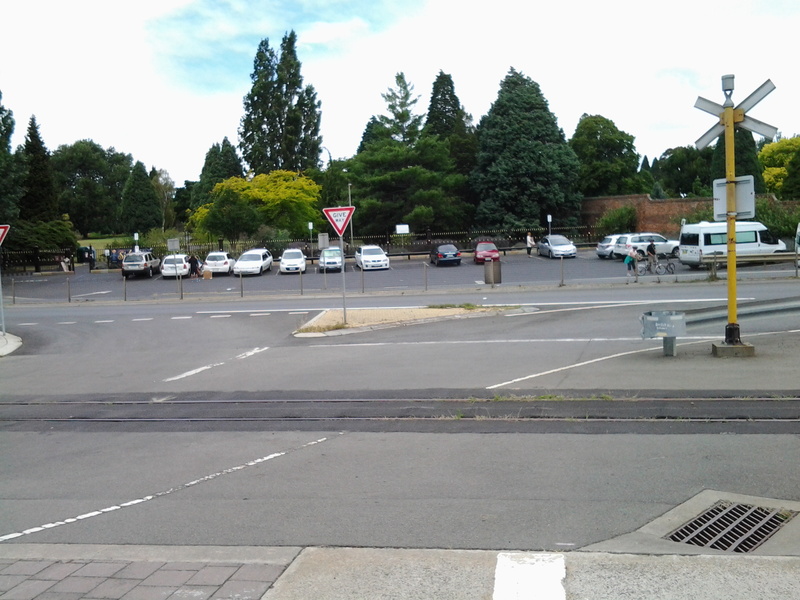 However, once I reached the Rowing Club building I could see that an exit would have been easy because there was no fence or gate on the other side of the building. 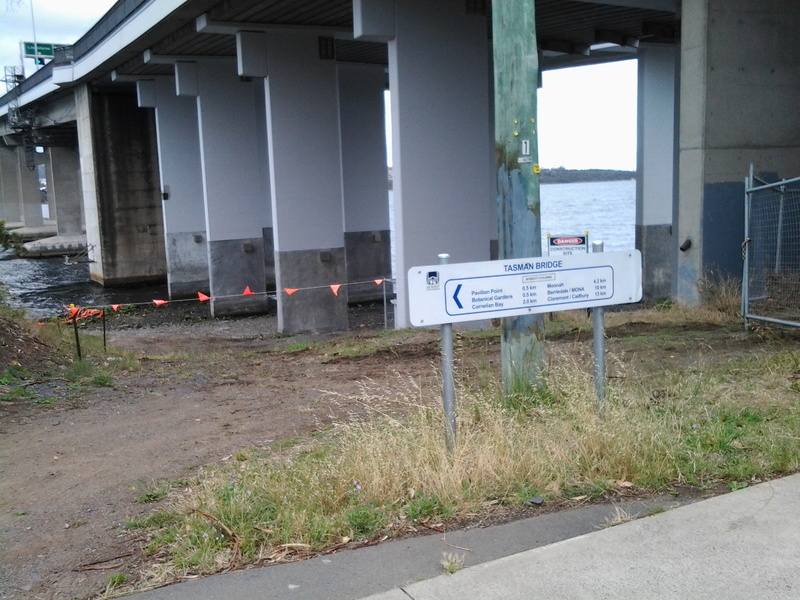 It seems that the foreshore would have been easily walkable. Until I reached the Tasman Bridge I walked on the edge of a road and shared this with cyclists, a jogger and the occasional van and car. 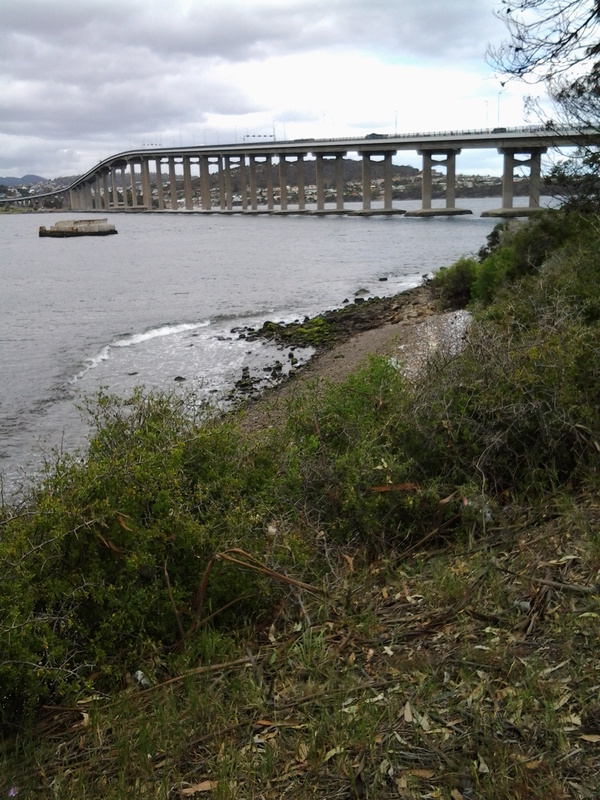 At 3.30pm I reached the Tasman Bridge and rejoined the bike path. 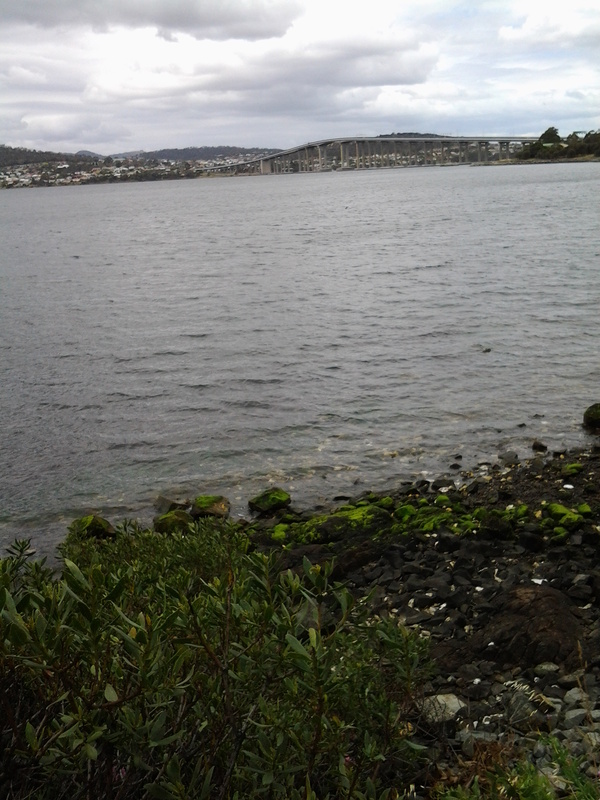 This entry was posted in Derwent River, Hobart, Mount Wellington, Tasmania, Walking and tagged Bike path, Botanical Gardens, Casuarina, Claremont, Cornelian Bay boatsheds, Hobart, Lindisfarne, Pavilion Point, Rose Bay, Selfs Point, Tasman Bridge on January 16, 2015 by Tasmanian traveller.